In a few days the Nike Kyrie 4 Cereal Collection will be releasing. Why not shop the new Kyrie 4 silhouette in a colorway to match your favourite cereal? 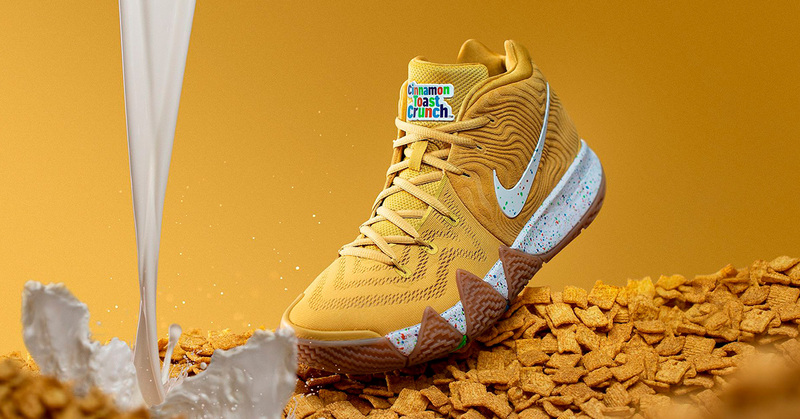 The Nike Kyrie 4 Cereal Collection is confirmed to be releasing on the 11th of august in the U.S. and we’re expecting to see it in Europe as well. The collection consists of three different ‘flavours’. The ‘Kix’, ‘Cinnamon Toast Crunch’ and the ‘Lucky Charms’. All colorways are designed with the specific product in mind to give it a great look and feel with strong relation to the popular cereal brands. We don’t know whether Kyrie Irving is a cereal fan but we sure are fans of both Kyrie and the new colorways on the great Kyrie 4 silhouette.